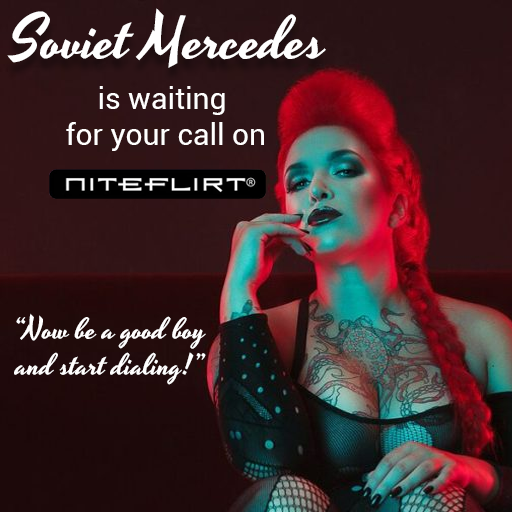 Of course you would love to serve and worship your Mistress, Soviet Mercedes, in real life. But as you can well imagine, I am very busy. However, as you and my other slaves keep requesting my material. I have decided to give you access to my clips and other materials. This all at the cost of a small fee. Which you will be happy to pay of course. All you have to do, is be a good boy, and click the images or banners on this page. Follow the instructions, like I know you can, and watch my clips or talk to me. Now that’s not hard is it? Not as hard as I am sure some part of your body might be right now.